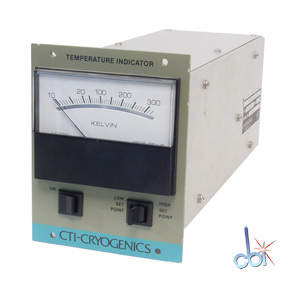 In addition to this CTI Cryogenics 8042002G003 Temp. Indicator, Capovani Brothers Inc stocks a wide range of used cryo vacuum pumps. Typical manufacturers include Anelva, Austin Scientific Company, CTI Cryogenics, CVI, Genesis Vacuum, and Polycold.